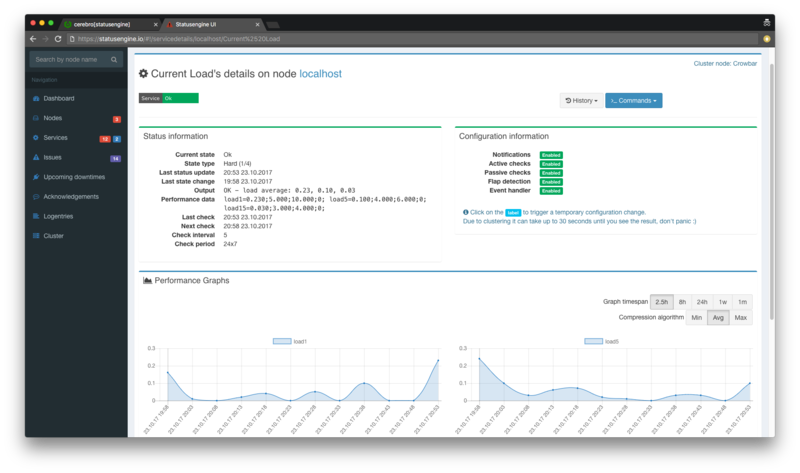 In this tutorial, we are going to configure your system, to store Nagios and Naemon Performance Data into an Elasticsearch Cluster. 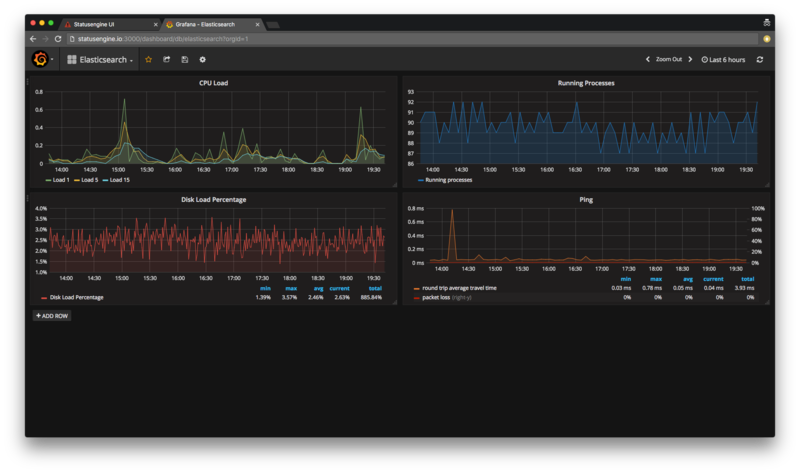 In addition, I will show you, how to use this data via Statusengine UI and Grafana. Elasticsearch 5.x - If you don't have Elasticsearch installed yet - follow this guide. Why I have to do this by myself? The PHP library for Elasticsearch will require at least PHP 5.6.6 which is not included in all distributions. I don't want to lock out users on older PHP versions, which are not plan to use Elasticsearch at all. To install the library, you need PHP Composer. If not already done, add use_service_perfdata=1 to your Statusengine Broker Module options and restart your Nagios or Naemon process. # - none     => All data in one index, this will also disable deletion of old records! With the default configuration, Statusengine Worker will connect to 127.0.0.1:9200, so your Elasticsearch instance need to run on the same Node, as Statusengine Worker is running. In addition, Statusengine will create an new Index for every day. You can change this behavior by change the elasticsearch_pattern. To load the new configuration, you need to restart Statusengine Worker. 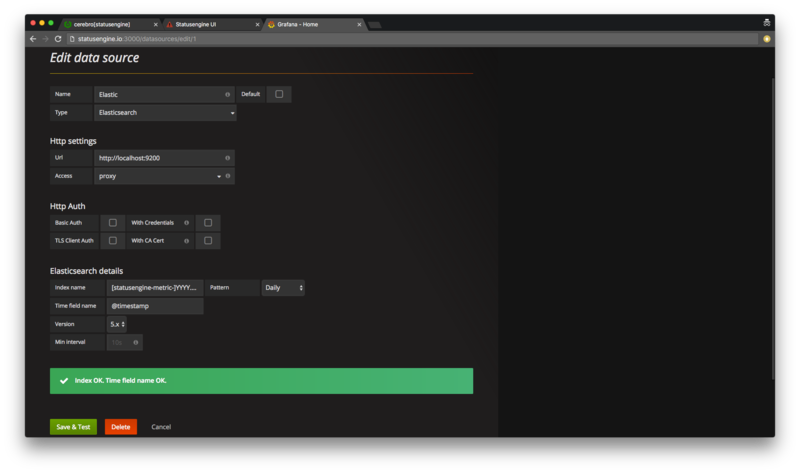 PS: You can enable multiple performance data backends if you want. With the first data written to Elasticsearch, Statusengine will create an new Index. How frequently Statusengine will create an new index, depends on your elasticsearch_pattern. 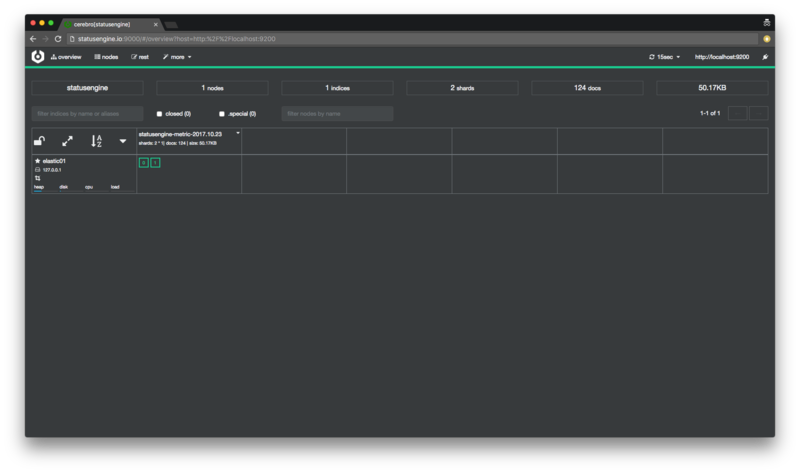 Statusengine Ui is able to render basic performance data, from an Elasticsearch data source. # It is important, that you pick the same pattern, as you use for Statusengine Worker! Important! Only one perfdata_backend could be enabled at the same time! Also make sure, to use the same elasticsearch_pattern for Statusengine Ui, as you use for Statusengine Worker! 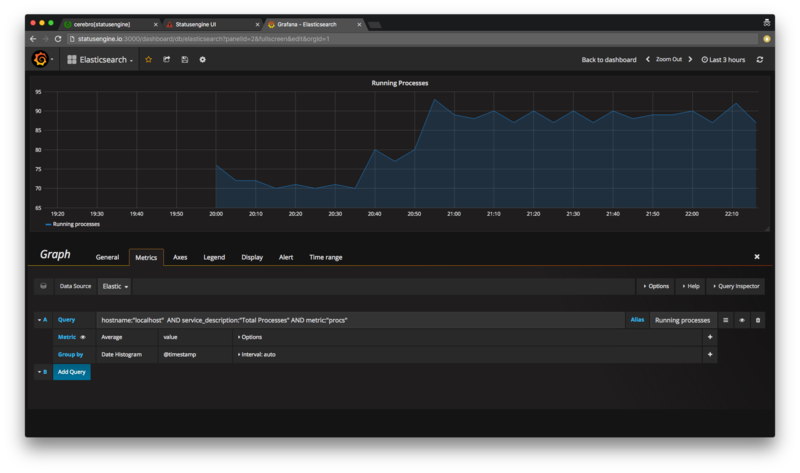 Once performance data gets stored to Elasticsearch, you can also use Grafana to build up own dashboards. hostname:"$HOSTNAME$" AND service_description:"$SERVICEDESCRIPTION$" AND metric:"$METRIC$"
hostname:"localhost" AND service_description:"Total Processes" AND metric:"procs"
The Statusengine Cleanup Cronjob will delete indices, that are older than age_perfdata. age_perfdata is set in days.